Can you make your own glow-in-the-dark crafts? Today’s Wonder of the Day was inspired by Hayleigh. Hayleigh Wonders, “How do things glow in the dark? ” Thanks for WONDERing with us, Hayleigh! Are you afraid of the dark? It's OK to be a bit scared of things that go bump in the night. But what about things that glow at night? You've probably seen or played with glow-in-the-dark toys before. From yo-yos and balls to stickers and stars, glow-in-the-dark toys can turn any dark room into a magical world of adventure! Have you ever WONDERed how these things glow in the dark? Guess what? It's not magic! It's just plain and simple science. Glowing in the dark — also known as luminescence — simply requires chemicals that store energy when exposed to light. These special substances are called phosphors. This type of glowing is sometimes called phosphorescence. Phosphors radiate visible light after being energized. This means you have to expose the items to light for a while before they will glow in the dark. Sometimes glow-in-the-dark objects will only glow very weakly for a short time. Often, you have to place them in a very dark place to see their faint green glow. Newer glow-in-the-dark items may glow more brightly for several hours. Over the years, chemists have created thousands of chemical compounds that act as phosphors. For glow-in-the-dark toys, manufacturers look for phosphors that can be energized by normal light and that glow as long as possible. To make glow-in-the-dark toys, manufacturers mix their chosen phosphor into plastic and then mold it to the desired shape. Two of the most common phosphors found in glow-in-the-dark toys are zinc sulfide and strontium aluminate. Be sure to get some good shut-eye before you read tomorrow's Wonder of the Day! Ready to make your own homemade glow-in-the-dark crafts? Check out the cool variety of craft projects below and choose one or more to make with a friend or family member. Be sure to check the list of supplies first. You may need to make a quick trip to the store to get a few things you'll need. When you're finished, take a picture of your finished project and share it with your Wonder Friends on Facebook. We can't wait to see what you make! Everyone who commented on this is awesome!!! I’m so excited to look at this because this I just can’t express this. We're glad you like this WONDER, Jaide! Hello! I just recently purchased some glo-powder , and was wondering what it is. There wasn't much detail in the description about the product,except what it is for. I'm a 30 yr experienced nail-technician, and I have 6 colors altogether ,of this powder. The 'glow' duration ois about 30 minutes, if that gives you an idea of what kind of chemicals to help you find out which kind it is . Thank you. Thanks for stopping by! We suggest you take a Wonder Journey to research the contents. The manufacturer's website should be a great resource. I'm starting to like this video!! !But some videos are just weird!! Hi, I am a hobbyist making orgonite and would like to add (glow in the dark) substances to my orgonite (orgonite is an art with resin, hardner and minerals). Which is the best illuminum to use? Wow! That's really cool! We don't have any great suggestions for you but we hope your orgonite project comes out great! The part I found the most interesting was that it takes a lot more work than I thought to make these, because I thought they just take glow paint and pour it in a straw of plastic! So if I were to mix luminol with some hydrogen peroxide, would I get my own chemiluminescent mixture? hey wonder friends i have one more week of school!! i am so happy! Why do you have to bend a glow stick? Dear Wonderopolis, I enjoyed this post I learned a lot that I did not know. I WONDER what made you think of doing this wonder? I never knew that there were chemicals involved in glowing in the dark. Don't you know that luminous item are now also part of fashion? Dressing different from what others are wearing is fashion. How do you watch a video? Oh my gosh!!!!!! This is an awesome website. I can find a lot of interesting facts about almost everything. Thank you to whoever created this website. Who were the authors of this article? Hello Wonderopolis! My friend Jess (who made the film) shared this link with me - glad you guys liked it! We did a great project with young children about light - and I wrote a book about it - find out more at : http://www.onreflectionpublishing.co.uk/ and definitely click on the link of the video to view more of Jess' great videos! Thanks for posting my video! I was intrigued as to why my views shot up by hundreds all of a sudden and then I found your site! Your website is a lovely place for resources, we will definitely be back to check out the Wonders of the Day! Glowsticks are awesome! I never knew there was another word for glow-in-the-dark like luminescence. I learned that phosphors radiate visible light after being energized. I might use these new vocabulary words in a science experiment. Why do glow-in-the-dark toys sometimes only glow for a short time? What wears down? I think tomorrow's (12/7) wonder will be about a stone statue that looks like it is watching you. I was wondering, HA HA if you could make a wonder on monster high!? This is a really cool wonder the kids in my class love it. What is the stuff called inside the glow stick? I know a trick to keeping it glowing for a very very long time you stick it in the freezer my friend told me this and it works I've tried it. Yes we're okay we washed it all off as soon as we came back from bible school.But we're (obviously) still alive today. But we just were WONDERing about what would happen (to see if we would glow). And our science experiment was successful! So no reason to worry,we didn't even get any bumps/goosebumps on us. If you break one open and it spills everywhere will it still glow? I loved this article, I used it for my homework assignment like Megan did too! My class does wonderopolis every Wednesday. I love wonderopolis!!! I liked this article, I used it for my homework assignment. I love Wonderopolis. Me and my friend cracked some glow sticks in half then we rubbed them on ourselves and turned off the lights and we started to glow! This was so cool! I have always wondered how things glowed but I never had the time to look it up! Thanks for sharing! Also, thanks for making wonderopolis possible. I am home schooled and this is always my favorite part of the day! Audrey was amazed to learn that animals have chemicals in their bodies. Ben wants to know if it is true that glow sticks have glass inside of it that breaks and two chemicals combine to make it glow? Very much love to you guys I love this website. Hi Wonderopolis, we love your network and video. This is so cool! I wish you guys could make cups glow in the dark! How do things glow in the dark and how do they work? What is a good summary question for this article on glow in the dark? I have always wondered how stuff glows in the dark. I just got this glow bracelet at school and I was wondering why it was not glowing yet. My teacher says it needs to get light in order for it to glow. Wonderopolis I have been waiting over a week and I still didn't get a reply!!!!!!!!!!!!!!!!!!!!!!!!!!!!!!!!!!!!!!!!!!!!!!!!!!!!!!!!!!!!!!!!!!!!!!!!!!!!!!!!!!!!!!!!!!!!!!!!!!!!!!!!!!!!!!!!!!!!!!!!!!!!!!!!!!!!!!!!!!!!!!!!!!!!!!!!!!!!!!!!!!!!!!!!!!!!!!!!!!!!!!!!!!!!!!!!!!!!!!!!!!!!!!!!!! Hi there, Wonder Friend Chase! We're sorry to hear that you didn't receive a response yet! We Wonder where you left your comment? We'd love to answer it! Hey wonderopolis thanks for all of the great info on glow sticks. I also have two questions; the first one is how long can a glow in the dark toy stay active? And the second one is do jellyfish have all of the stuff glow sticks have because some types of jellyfish can glow in the dark right? Well thanks again and I can't wait for the next wonderopolis bye :) :) :) ! You guys are the best I'm coming here for wonders will you do some thing about parasites because in school I'm writing about parasites for a feature article. Hi my name is Kabir I wonder who were the first people who climbed the mountain for tomorrow's wonder. Also I have a question do you guys choose the videos or is it automatic? I have white shoes that glow in the dark and I wear my white shoes when I play laser tag. I have a hockey shirt that glows in the dark. Hi Wonderopolis!!! I like the video of all the glow-in-the-dark things! The clue for tomorrow sounds exciting! I think that tomorrow's wonder of the day is about "the first person in the world to climb a mountain and now he is a professional climber and could climb any mountain!!" I wonder if by "someone" it could be an animal? I wonder if my wonder will be right? Thanks for making this wonder, I like it! When did you guys create this site it's pretty cool. PS: You guys rule. PPS: reply back please. Oh and I think tomorrow's wonder of the will be about Mount Everest or the first people who climbed Mount Everest. And Wonderoplis what's your ALL-TIME favorite Wonder? That was cool. How did you do that? Sorry I think tomorrow's wonder of the day will be about the first two people who climbed Mount Everest. Hi guys. How do things glow in the dark? I never knew it was simple science. I'm not afraid of the dark so now I need a flashlight. From Gurtej. Hey Wonderopolis. I found today's wonder of the colorful. And Michaela read this: Glowing in the dark — also known as luminescence — simply requires chemicals that store energy when exposed to light. These special substances are called phosphors. This type of glowing is sometimes called phosphorescence. Phosphors radiate visible light after being energized. This means you have to expose the items to light for a while before they will glow in the dark. Phosphors then slowly release their stored energy over time. As they release the energy, they emit small amounts of light, which we see as an object glowing. I think tomorrow's wonder of the will be about hikers or mountian climbers. I loved the wonder today it was awesome. I can't wait for tomorrow's wonder. What are they doing in this video? It is really cool though. Who invented glow in the dark sticks? I love wonderopolis!!!! Can you do a wonder about why nuclear explosions have more than one shockwave tomorrow? (11/28/12) Please I need to know!!!!! Thanks Wonderdude out. When you are wearing a white t-shirt under colored lights why does your shirt glow? So it's a liquid in a stick basically. Hi! We would like to know about glow in the dark candy. Do they use the same chemicals for the candy? Maybe the next wonder of the day should be: How do they make baseballs? But I like today's wonder of the day! It's cool to know how things glow in the dark. Why does a glow stick glow only in the dark? I want to know what the chemicals are that are in glow sticks. I think our science teacher should teach us about glow sticks. It would be cool to make our own glow sticks. What other things make glow sticks glow besides luminescence? Why does the glow only last a day? What makes a glow stick glow? Can the wonder of the day after tomorrow be why is there such thing as mucus? I really enjoy anything that glows! I have been entranced since I was about 3! I was always wondering why lightening bugs glow. What are the chemicals in the glow sticks? How do they glow only at night? Mr. Baumann's 5th graders love the glow of today's WONDER and are WONDERING what the two chemicals are in a glow stick. Why does the glow stick glow only in the dark? If you break one will it still glow? I think that when things glow in the the dark it's because someone who works for the glow company puts special chemicals in the glow sticks to make it glow in the dark... to me it sounds really cool and maybe someday I will work there. We thought today's wonder was glow-tastic (Kaden's word) and made JK think of Christmas lights. We have all played with something that glows in the dark. We think tomorrow's Wonder will be about the guy who climbed Mt. Everest, a mountain climber, a famous tight rope walker, King Kong, a goat, yodelers, or a sherpa. Thank you Wonderopolis for such an "enlightening" wonder for today! Here's what we thought: "It was nice to see how things light up. We used your wonders to draw some amazing things on the computer. We made light-up fish, glow fish, and fireflies!" We learned that glow sticks use chemiluminescence. We learned that bioluminescence comes from nature. We learned that bioluminescence is like jellyfish. 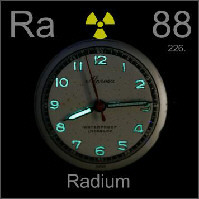 We learned that radioluminescence is used to make a watch glow and uses radium. We learned that they put two chemicals in the glow sticks to make a phosphor. We liked that in the video, the way the girl made the star at the end. WOW, we're so proud of all the Tigers1stGrade/K! Some of the words in today's Wonder are extra long... we're so happy that you summarized what you learned today! I think it's cool how light glows in the dark. Ok this time it worked but it kept on buffering and I got irritated... sorry if I spelled irritated wrong. Hello I'm Payton from Mrs. White's class and my computer isn't working so I just saw a kid playing with glow sticks about 2 seconds long. We enjoyed today's wonder, but we still had a few questions. Is the chemical in the glow sticks poisonous if we consume it and will it hurt our skin if we get it on us? We think tomorrow's wonder is about the 2 men that made it to the top of Mt. Everest. Thanks for the info yesterday I watched how it's made and it was about glow up signs. We are glad to be back and wondering! Some of us kept up with Wonderopolis (like Olivia) over our long break! How WONDERful is that?!? We thought that today's wonder was interesting. Kaitlyn liked learning about the chemical reaction in glow sticks. We could all clearly imagine that familiar snap of the glow stick. Sam wonders why people say to put glow sticks in the freezer to make them work again. We think tomorrow's wonder will be about a person who has climbed Mt. Everest, Spiderman, a famous mountain climber, a mountaineer or someone who helps people climb. When you have a glow stick, why does the stick ONLY glow when you bend it? Thank you for the interesting article. Wow I had glow sticks from Halloween they don't work now. Hello, I am Jacob in Mrs. Ski's class. I liked today's wonder about glow in the dark things. I did not know that it is just simple science. What has to happen before phosphors can radiate visible light? aThey have to be washed thoroughly. Not Quite! bThey need to be warmed up in the oven. Not Quite! cThey need to be exposed to light. Correct! dThey have to be left alone for several hours. Not Quite! Which of these is NOT a reason for living creatures to glow in the dark?